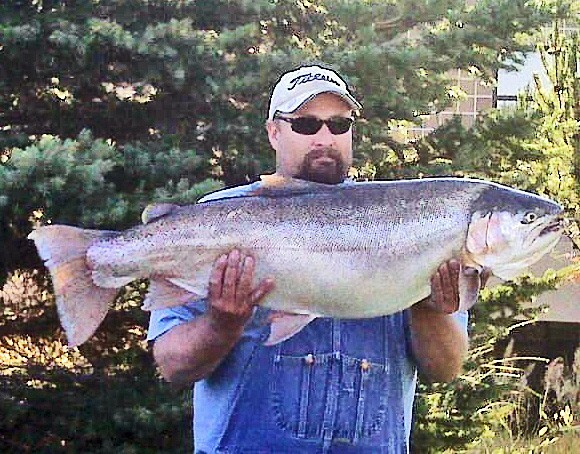 On July 25, 2011, Mark Adams of Pocatello, Idaho caught this record-shattering rainbow trout on the American Falls Reservoir. The monster of a fish weighed in at 34.74 pounds. Congratulations, Mr. Adams! Anglers, come try your luck and skill. Don’t forget to purchase your Idaho fishing license first. Good luck to all and enjoy!